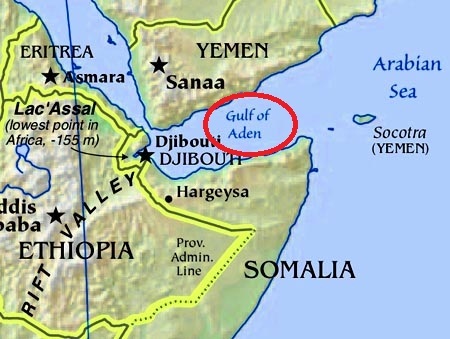 On the south coast of the Arabian peninsula, between Yemen and Somalia, there is a region that has attracted international attention. At the moment warships from China, Japan, England, The U.S. and other countries are surveilling the region. This suspicious activity has already triggered many theories about an open Stargate in the sea, false flag operations, underwater alien bases, magnetic anomalies and piracy control. What is really going on in the gulf of Aden? 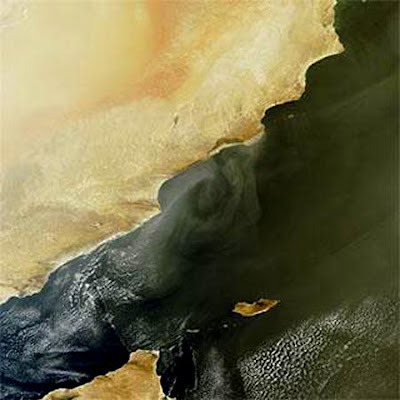 Interlocutor: There is a topic which was left unfinished in a prior session; I’m talking about the Gulf of Aden Vortex. Is there something true on what people say that there is an open Stargate in the sea, I mean, an artificial dimensional door through which extraterrestrial ships come to Earth? Are there warships from U.S.A, China, Japan, Iran and other countries for that reason? Ruanel: Yes, but It’s not an artificial vortex. It’s a natural vortex like many others that exist in other parts of the world with the difference that this one is not permanent- that is not true. However, there are so-to-speak electromagnetic forces in that place. How poor the spoken language is! That somehow allow that this vortex be active in a more permanent way compared to other vortexes. Interlocutor: So, This vortex is in one place and at the next moment it appears in another place? I mean, does it open alternatively? Ruanel: It opens alternatively, but always inside that area. Interlocutor: Okay, now, Are these countries gathered in that region because of that reason? Interlocutor: Okay, Do some extraterrestrial ships or UFOs have appeared in that area? Ruanel: Some extraterrestrial ships have come out from that place and they have been spotted. In addition, there are 3 warships that are missing at this moment, two of them are from China, and the authorities do not acknowledge that, they won’t admit that. Interlocutor: So, as a matter of fact that is what is happening now, Would the well-known wikileaks have this information? Ruanel: No, no. They work with what you commonly know as bluffs. Not all the information they have is real. Mainly because not every piece of information is recorded as long as it’s not verified. Interlocutor: Then, it would seem that on this issue there is not much to say. Ruanel: No, no, no. This is directly a topic from unveiled enigmas; however this one has natural causes like hundreds of vortexes that exist in different parts of the planet, it so happens that this vortex is more stable, for the moment. Interlocutor: That is, for the moment that would be everything to say. Isn’t there something strange on this topic? This entry was posted at Saturday, October 29, 2011 and is filed under Mysteries and Enigmas . You can follow any responses to this entry through the .